Need money to study abroad? Collateral-free funding program may help you! Congratulations to those who’ve already got offers for 2019 programmes! The next step is sorting out the finances. High expenses shouldn’t stand in the way of studying abroad. You may have satisfying GMAT and TOEFL scores, outstanding application documents and are ready for the incoming interview but sometimes the concern of funds can make you think twice about your dream. We know this is true for students from middle-class families who might hesitate to spend their parents’ retirement fund to study abroad. And without your own saving, you’ll struggle to go to local banks, especially if they have high-standard requirements. We also understand it’s a dilemma for you to borrow from your family and friends. You might think your only option is selling your fixed assets. Now imagine we told you there’s someone who understands your needs, cares about your dream, believes in your potential, and is happy to invest you in exploring a bigger world and in your self-development. Introducing Prodigy Finance, a UK-based company investing in your potential. Prodigy Finance is a fintech company investing in tomorrow’s leaders. Their headquarters are in London and they have offices in New York and Cape Town. Over the last 11 years, Prodigy Finance has cooperated with more than 400 schools, offering funding for international students studying business, law, engineering, and public policy. Their loans don’t require collateral or a co-signer, so you can keep your financial independence. These top schools include Harvard Business School, Massachusetts Institute of Technology (MIT), New York University, London Business School, Cambridge and Warwick, and many more. In addition, Prodigy Finance has funded more than 11,200 students from 132 countries, including Brazil, India, China, USA, and Germany. In 2016, Prodigy Finance was selected as one of the top 50 European FinTech companies, and they’ve just secured $1billion in debt financing provided by Goldman Sachs, Deutsche Bank, M&G Investments and Sumitomo Mitsui Banking Corporation. Have a look at Forbes here “ Cross-Border Student Loan Lender Prodigy Finance Raises $1B In Debt Financing”. Only start repaying 6 months after class ends. Students can focus on schoolwork and have plenty of time to find their dream job. Students can repay anytime without penalties or hidden costs. $10,000 scholarships for ten borrowers awarded every year. This includes phone plans and a free careers masterclass. 3. Who can get a loan from Prodigy Finance? International postgraduate students who are admitted to a school or programme that Prodigy Finance supports. To see a full list of 400+ support schools, click here. Chosen school must be located outside your country of residence and home country. 4. What interest rate can you get? The interest rate is unique for each application. It depends on the school, programme, and students’ personal profile. Students can get a free quote online to see what they’ll qualify for. You don’t need to accept anything until you’re happy with your loan offer. It takes only 30 minutes to get a quote. If your application is successful, you’ll immediately receive your quote which includes your interest rate and repaying term. You’ll have 14 days to decide whether to accept the offer. If you like your quote and decide to accept it, you’ll move on to this step. You’ll have to upload documents based on the information you provided in your application. This includes things like your passport and credit report. You simply have to scan those documents and submit them online. It usually takes less than a month to confirm all your information. Once all your information has been confirmed, you’ll get your loan confirmation letter. You can use this as proof of your funding when you apply for a visa. Prodigy Finance will confirm your tuition fee and living expense with your school. When the time comes, they’ll send the funds directly to the school. The school will send any funds left over for living expenses to you directly. You only have to start repaying your loan 6 months after classes end so you have time to focus on your studies and finding a great job. Ready to get started on getting your loan? Apply for your free quote now. If you know someone else who might be interested in Prodigy Finance, you can join the referral programme. The information published on this page is only general information about Prodigy Finance Limited, is not directed at any particular person or target market nor does it constitute any invitation or offer to any person to apply for and avail of the products and services of Prodigy Finance Limited. 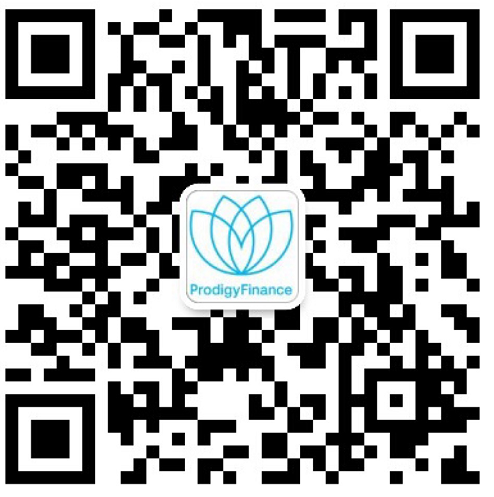 For more information about Prodigy Finance Limited and its products and services, visit the following website: https://prodigyfinance.com. The contents of this page is also translated by the owner of this website, ChaseDream, in Mandarin. The information on the English page contains the original content and the owner of this website, has translated the information published on the English page on its own initiative and Prodigy Finance Limited does not endorse the translation nor accept any obligation or liability in respect of this translation or the contents displayed on the page. In the event that there is inconsistency between the information presented on the Mandarin and English pages, the information published on the English page will be the correct information. The contents of this page is a Mandarin translation of the original information published on our English page. The owner of this website, ChaseDream, has translated the information published on the English page on its own initiative and Prodigy Finance Limited does not endorse the translation nor accept any obligation or liability in respect of this translation or the contents displayed on the page. In the event that there is inconsistency between the information presented on the Mandarin and English pages, the information published on the English page will be the correct information. The information published on this page is only general information about Prodigy Finance Limited, is not directed at any particular person or target market nor does it constitute any invitation or offer to any person to apply for and avail of the products and services of Prodigy Finance Limited. GMT+8, 2019-4-21 18:46 , Processed in 0.215573 second(s), 6 queries , Memcache On.